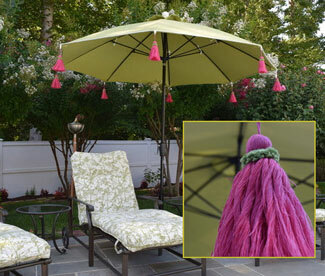 Our tassels and our trim are made of Sunbrella threads and come in a wide selection of beautiful, vibrant, fade-resistant colors. 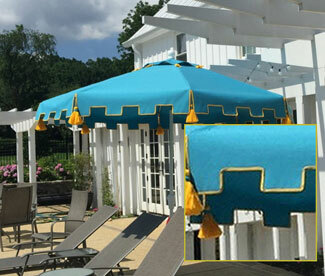 Tassel and Trim color selections are from the furniture grade fabrics. 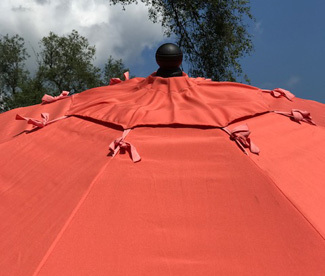 Choose from wide array of colors and patterns to give a crisp edge to your umbrella. 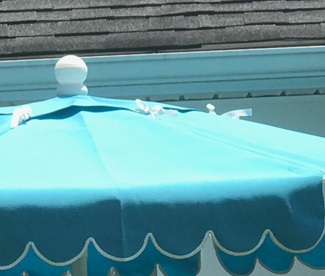 Our loops and wind vents tie downs are also made of Sunbrella fabrics and come in a wide selection of beautiful, vibrant, fade-resistant colors. 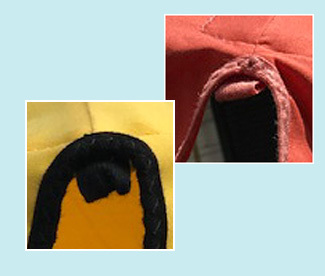 Loops are for attaching tassels and other embellishments. 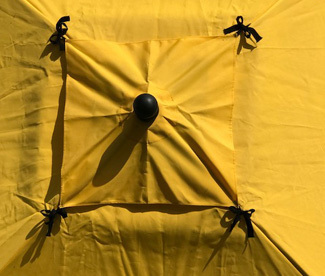 Click here to view fabric choices.